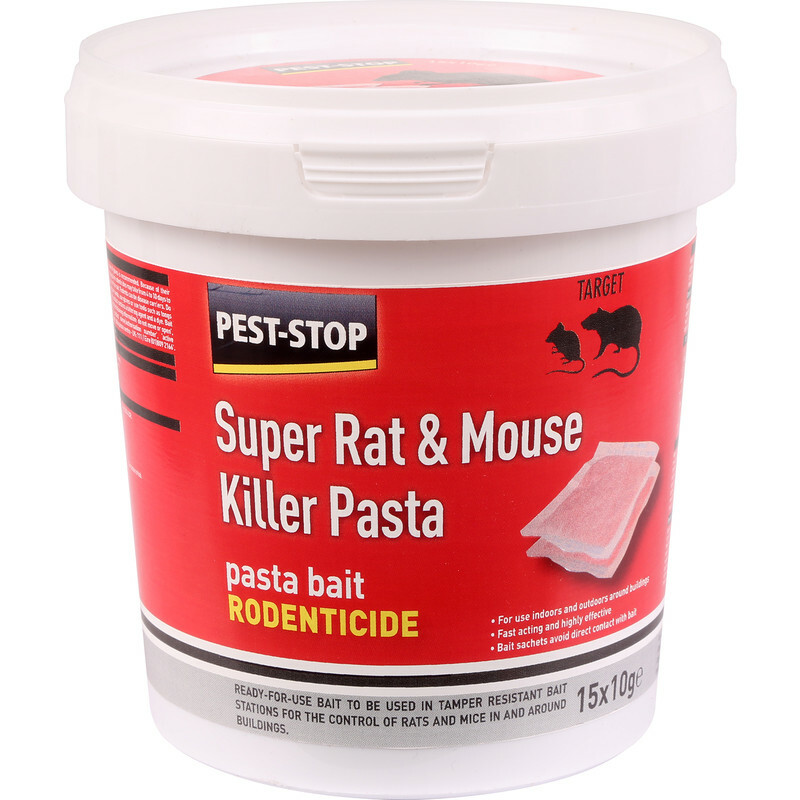 Pest-Stop Mouse & Rat Killer Sachets Pasta Bait 15 x 10g is rated 4.6 out of 5 by 25. Rated 5 out of 5 by PedallingPete from Seems successful! Rat tunnel in garden near composter/digester alerted to risk. Tried 3 blocks but hole was reopened. Further 4 blocks placed in tunnel then stones and earth cover. No further problem - so far! 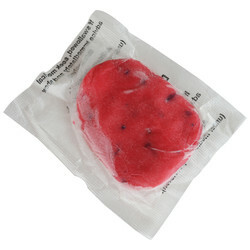 Rated 5 out of 5 by LazyLoafer from Worked like a charm Whatever was crawling about in the cupboard brazenly while we were still awake thought these packets were so appealing that it dragged one back to wherever its family were hiding out. This happened for 2 nights and then the problem was gone. So relieved. Highly recommend this product. Rated 4 out of 5 by Starcott from Seem to be effective. Used them in 2 traps, and also hanging on a thick wire down into one of their holes. Caught 6 rats in 3 days. Haven't seen any more rats for over a week. Rated 1 out of 5 by Kenhard from Mice In Shed Caught some everday in traps but hey have not touched this stuff! Rated 5 out of 5 by Old but nice from No more mice Tried traps filled with chocolate spread which did work but the mice kept coming back for more. Once the blocks were put down, they disappeared for two nights even with the traps still in place but then the blocks stayed intact, the traps were empty and the mice were gone. Rated 5 out of 5 by Tech Author from Rats are dead Don't eat it. The rats died! Rated 5 out of 5 by Peter B2 from Works perfectly I suspected there were rats in the garage, so put down one block. The next day it was gone. the same happened for the next 3 days. On the fifth day, only half the block, which I had cut up, had gone - and so had the rats.